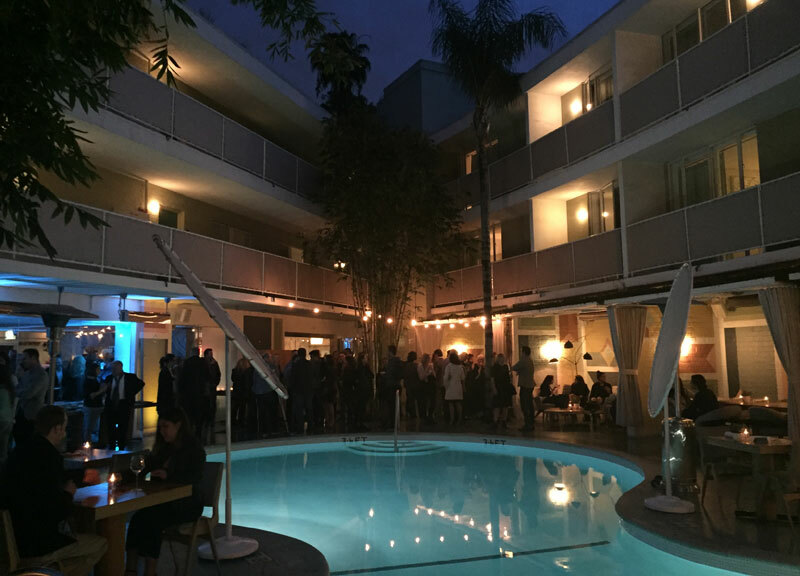 The excitement was palpable at the Avalon Hotel Beverly Hills last night as CFC alumni, partners, Board Members, residents of the Telefilm Canada Feature Comedy Exchange and the Slaight Music Residency, distinguished guests and our honouree, Christina Jennings, gathered for our 2018 reception in Los Angeles, co-hosted by Cast & Crew Entertainment Services. This annual event celebrates our alumni accomplishments, as well as our cross-border industry partnerships, which are vital to our success and enable us to create opportunities in the global marketplace for our diverse CFC alumni voices. Our reception this year also celebrated CFC’s 30 th anniversary. This year, we were extremely proud to present Christina Jennings, founder, chairman and CEO of Shaftesbury, CFC alumna and prolific and visionary producer, with the fifth annual CFC Award for Creative Excellence. This award recognizes and celebrates Jennings’ innovative storytelling, critically and commercially accomplished body of work, and her creative and business contributions to the Canadian and international entertainment industries. Five years ago, we established the CFC Award for Creative Excellence to pay tribute to international visionaries who have made significant creative and entrepreneurial contributions to the screen-based and/or digital industries. We wanted to shine a spotlight on alumni whom we believe have created important works, have achieved artistic excellence and who have had a significant impact internationally. Like previous award recipients (Semi Chellas , Graeme Manson and John Fawcett , Don McKellar , and Clement Virgo and Damon D’Oliveira ), Jennings is a remarkable Canadian creator and entrepreneur who has had an impact globally with her groundbreaking, award-winning and indelible content. 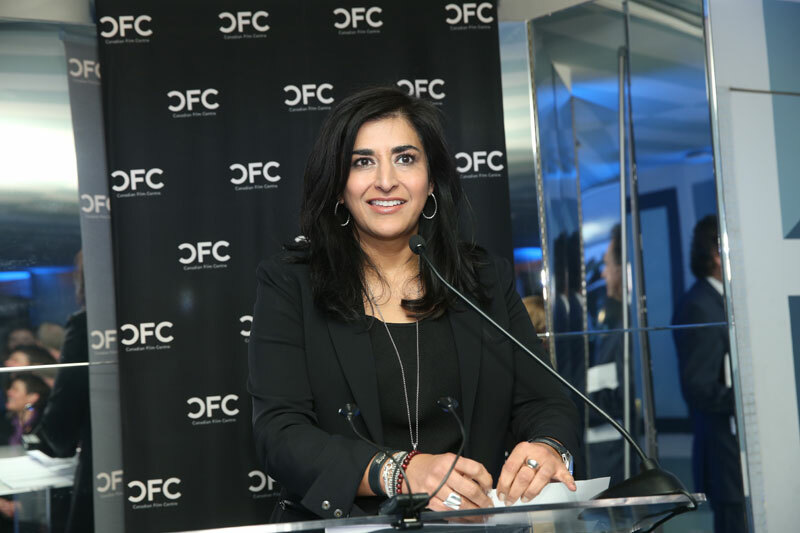 Roma Khanna speaks at CFC's 2018 reception in LA. Photo by Jesse Grant. "While the projects and talent may be Canadian, our alumni are exploring stories that reflect an international experience and perspective and they are helping to cross many borders and break down barriers." 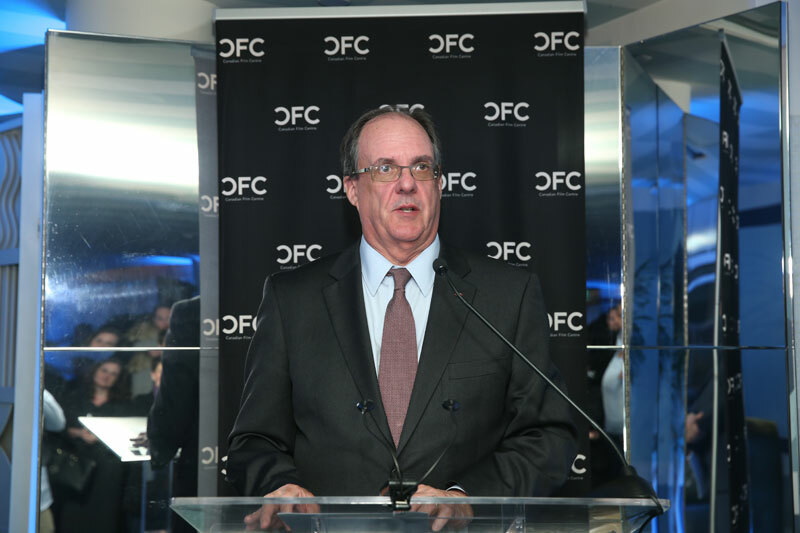 James Villeneuve, Consul General of Canada, Los Angeles, speaks at CFC's 2018 reception in LA. Photo by Jesse Grant. Khanna then called CFC Founder and Chair Emeritus Norman Jewison to the podium to present Jennings with the evening’s honour. “Christina, it was 28 years ago when you graduated from the [Canadian] film centre. And I tell you, in the ensuing years, you have exceeded all of my imaginations,” shared Jewison. "Christina, it was 28 years ago when you graduated from the [Canadian] film centre. And I tell you, in the ensuing years, you have exceeded all of my imaginations." CFC Founder Norman Jewison presents Christina Jennings with the 2018 CFC Award for Creative Excellence. Photo by Jesse Grant. Jennings was then welcomed to the podium to accept her award, which was created by another CFC alumna, Gail Harvey, whom Jennings has collaborated with on many projects, and Toronto-based graphic artist Riad. 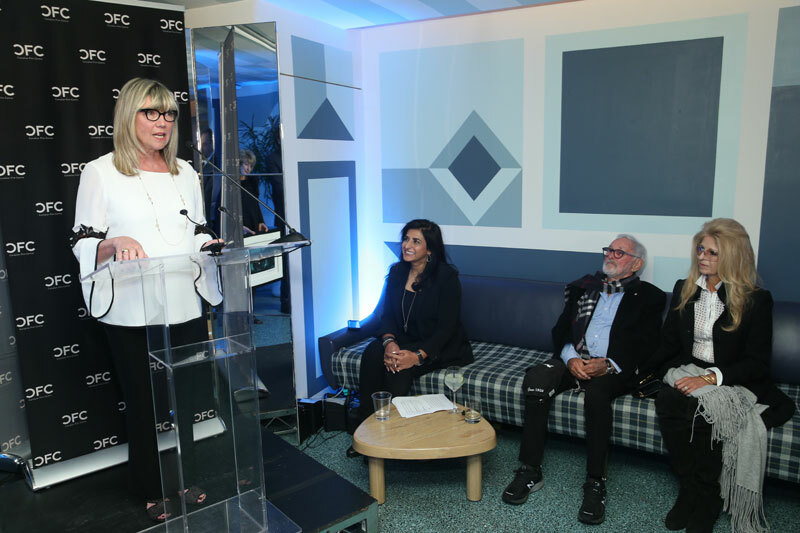 Christina Jennings shares remarks with guests at CFC's 2018 LA reception after being presented with the 2018 CFC Award for Creative Excellence. Photo by Jesse Grant. Thank goodness for that, because we look forward to seeing what comes next for Christina Jennings. Following the award presentation, guests continued to network and mingle while enjoying food and beverages. Thank you to our reception co-host, Cast & Crew Entertainment Services, for their continued support of CFC. See more photos from our 2018 LA reception HERE. Read our profile on Christina Jennings’ career and her company, Shaftesbury, HERE.